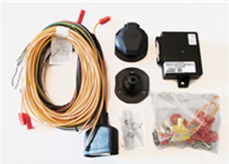 Simple wiring kits are composed of cable bundles suitable for both vehicles with a simple electrical system and for more recent ones. 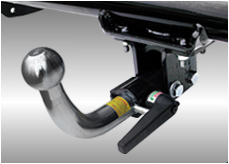 They are supplied with the wiring socket and everything necessary for the connections. A 7 pin version is available otherwise there's a 13 pin one: they include backup lights and rear fog system. You can also have the 7 pin version with more options but in this case more technical expertise is required.